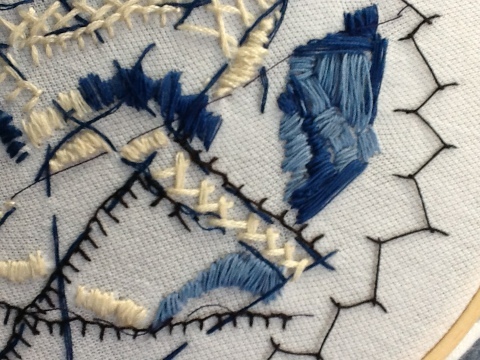 This exercise asked us to try out a range of stitches which cover the surface of a fabric. As a beginner, I needed to practice these, using different threads. 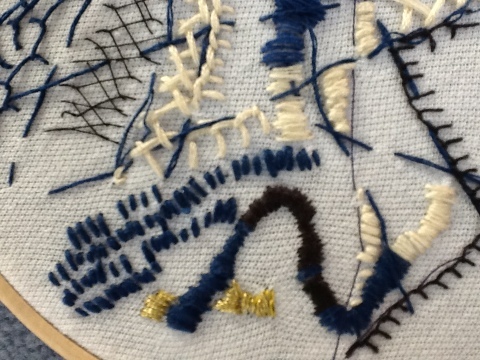 I chose a white cotton jersey background and a range of threads in shades of blue, black and cream. I later added some gold. 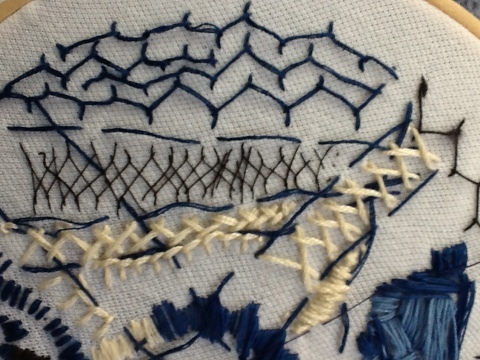 I practiced satin, blanket, Cretan and herringbone stitches. I was interested in using satin stitching in different directions to see how the colour changes as light hits the stitches in different ways. 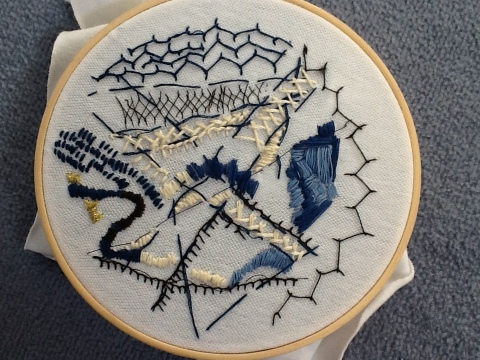 I really enjoyed Cretan stitch and could see how this could be used to depict shaded areas, particularly when using a thin thread.